Today’s guide is recommended for people suffering from chronic Lyme disease from tick bites as well as for people having a family member with this disease. Many patients have benefited by ‘starving’ Lyme disease organisms. Lyme disease symptoms often indicate that there is severe inflammation in the body. We also know now that there is an intricate connection between sugar intake and LD. So today, I will be covering some recipes and the right dietary approach to solving Lyme. Most patients are prescribed antibiotic doxycycline for treating LD. Doctor James Burrascano, an expert in treating Lyme Disease symptoms has mentioned the importance of following proper guidelines while taking antibiotics. Probiotics are of utmost importance here, especially Kefir and Acidophilus. Since antibiotics flush out the good flora from the gut, it is important to replenish this lost healthy flora with probiotics. Kefir is a yogurt like drink readily available in food stores. Drink at least 2 to 4 oz of it every day. Acidophilus is also available readily in drug stores in the form of tablets. Take the dosage as recommended by the brand you take. Vitamin B complex is known to aid in reducing neurological symptoms associated with Lyme. Take a daily capsule with 50 mg of B complex. Magnesium can help prevent joint related issues, tremors, twitches, cramps and soreness of muscles. You can take a daily (400 mg) supplement for it but it is better to obtain it through food. Magnesium rich foods are: nuts and seeds, dark, leafy green vegetables, yogurt, bananas, avocados etc. Omega 3 Essential Fatty acids- These can help protect the joint health when suffering from Lyme disease. It is also beneficial for preventing fatigue, weakness, memory and concentration issues, dizziness and depression. Three of the best diets for Lyme disease are The Mediterranean Diet, Paleo Diet and Ketogenic Diet. Mediterranean diet is rich in good fats and Omega 3 essential fatty acids because of inclusion of fatty fish, nuts and seeds. It is also rich in complex carbs in the form of whole grains and cereals. You also need to consume plenty of fresh organic fruits and vegetables in this diet. Mediterranean diet is already acclaimed to be a heart healthy diet and it can strengthen immunity, help reduce obesity as well as chronic symptoms of diseases like Lyme’s. Paleo diet is a low carb, high fat and high protein diet. It is a diet based on the diet of our Paleolithic era ancestors, before agriculture came into the picture. Thus, there is no inclusion of grains, cereals or dairy in this diet. People who follow Paleo only consume lean meat, few fruits and vegetables and almost no dairy. There are many substitutes for dairy and bread- one can make bread from ancestral grains like amaranth and buckwheat etc. These grains are gluten free and have a low glycemic index. Proponents of these diets believe that you starve Lyme disease organisms with the help of low GI foods used in Paleo. Like Paleo diet, Ketogenic diet is also low in carbohydrates, high fats and proteins. 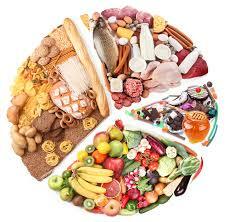 You can eat a few carbs on this diet but you need to keep your total carbohydrate intake per day to a minimum value. Therefore, many grains, cereals and fruits and vegetables as well as root veggies like potatoes, sweet potatoes etc which are otherwise allowed in Paleo diet are not allowed in the Ketogenic diet. It is up to you to choose to go on these diets for starving Lyme disease. However, diets like Ketogenic and Paleo are elimination diets which could lead to nutritional deficiencies. So do talk to a nutritionist before opting to go on these diets. How do your food choices work in treating Lyme disease? Lyme is a chronic disease. Its medications leave you feeling tired and drained. The antibiotics literally “tear” your stomach up. Lyme bacteria can also lead to co-infections as your immune system is dealing with too many toxins which weaken its defenses. Lyme bacteria feed on your insides and secrete harmful waste products which continue to harm you for many months after infection. The right food choices can give you adequate nutrition that has been drained by the disease. Your body needs vitamins and minerals to fight LD bacteria. Therefore, foods, herbs and the right lyme disease diet recipes are the best way to fight it. Also, LD affects your emotions and leaves you feeling depressed. A propert lyme inflammation diet helps boost your mood, uplifts your senses and enhances overall wellbeing. Choose organic varieties of the above. Limit intake of eggs, red meat. Avoid processed foods containing artificial sweeteners, dyes and colors. For top Lyme disease diet recipes click here. If you or a loved one is suffering from Lyme disease, life can be tough. However, through diet modification and lifestyle changes, you can reduce its chronic pain. With the above supplements and foods, you can strengthen your immune system and enhance your quality of life.